1-CD with 22-page booklet, 30 tracks. Playing time approx. 76 mns. German language versions of popular Jim Reeves songs, recorded during the 1960s. 1-CD with 22-page booklet, 30 single tracks, playing time 76:09 minutes. When Jim Reeves crashed in his private plane near Nashville on July 31, 1964 and died at the age of 40, not only friends of country music mourned, but also many pop music fans worldwide. The native Texan was indeed one of the great stars of'Nashville Sounds'. The ingratiating baritone of'Gentleman Jim' was garnished by producer Chet Atkins with piano, string groups and choir, the recipe for success for numerous million-sellers. 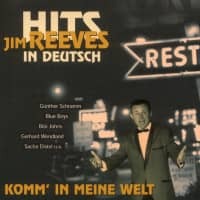 The hits of the legend Jim Reeves found many imitators worldwide, of course also in Germany, where the catchy'Nashville Sound' met with a good response. 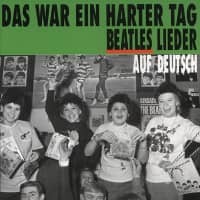 The German producers sent proven troubadours such as Gerdhard Wendland, Sacha Distel, Fred Bertelmann or Peter Beil into the race alongside young and less well-known performers with established German Reeves successes. 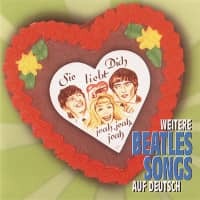 This Bear Family CD presents German versions of the super hits He'll Have To Go, Four Walls, Distant Drums and Welcome To My World. German hits that keep the memory of the unforgotten Jim Reeves alive in a very special way and with an independent charm. 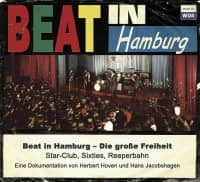 "Various - Beat in Germany"
These CDs are part of a comprehensive Bear Family series, 'Smash...!Boom...!Bang...! 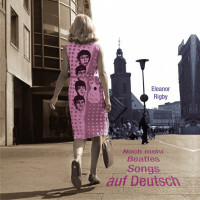 ', dedicated to the mid-Sixties German Beat boom. At least 30 installments are planned, and each CD will contain between 20 and 30 titles, all re-mastered for the best possible sound quality. The featured artists run the gamut from popular groups like the Rattles and the Lords to great unknowns like the Pages, the Poor Things, Pete Lancaster And The Upsetters, the Blizzards, the Sound Riders and many more. Despite the CD revolution, many of these songs are making their first appearance on CD, and some are making their very first appearance anywhere! There's a book, 'Shakin' All Over' (published by High Castle), designed to accompany this series. It's obtainable in bookstores and from Bear Family Records. The author, Hans Jürgen Klitsch, has written the hugely informative booklets for our CDs. It has been thirty-five years since the dawn of the Beat Boom in Germany. Relive that era in words and music! Customer evaluation for "Die Legende von Jim Reeves"
Die CD enthält tolle Lieder,zum Weiterempfehlen.